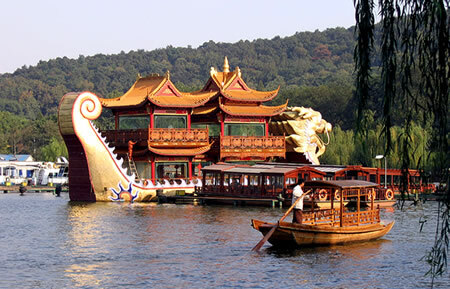 Hangzhou is situated near the West Lake and the coast in southern China. In 605 Emperor Yangdi (Yang-ti) of the Sui dynasty had the Grand Canal extended from Yangzhou (Yangchou) on the Yangzi (Yangtze) River to Hangzhou. As a result an already fast-developing area of the lower Yangzi and the southeastern coast grew by leaps and bounds. Hangzhou became the capital of a prefecture of the same name. 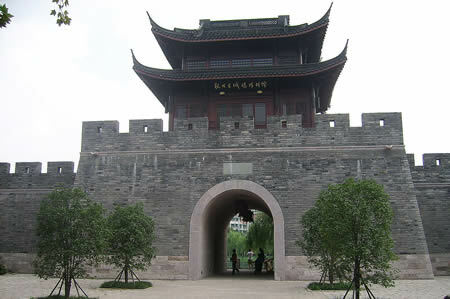 In 1126 Kaifeng (K’ai-feng), the capital of the Song (Sung) dynasty, fell to the Jurchen nomads who had been ruling northeastern China through the Jin (Chin) dynasty. The Jurchen captured the Song emperor and more than 3,000 members of his court, deporting them to the wastes of northern Manchuria. A Song prince escaped capture and rallied resistance from several temporary capitals, then settled on Hangzhou because of its location south of the Yangzi, and in the midst of numerous lakes, where the nomadic cavalry could not be effectively deployed. Peace was made around 1136 with northern China under the Jin and land south of the Huai and the Yangzi valley under the Song, now called the Southern Song (1126–1379). Hangzhou was capital city for a century and half; it also became a great commercial center and the most populous metropolis in the world. The existing city wall was expanded, new palaces and public buildings were built, and with the population increase (to over a million by 1275 from under 200,000 before 1126), large suburbs extended beyond the city limits. Marco Polo wrote about Hangzhou (which he called Quinsai) after the fall of the Southern Song, when the city was past its prime, thus: “This city is greater than any in the world.... [It] has twelve principal gates; and at each of these gates at about eight miles are cities larger than Venice or Padua might be, so that one will go about one of those suburbs for six or eight days and yet will seem to have traveled but a little way.” Other descriptions paint a gay life with lamps lighting up places of entertainment such as restaurants, shops, taverns, and teahouses until late in the night. Pleasure boats, some 180 feet long, plied the West Lake. Numerous canals intersected the city and environs, making transportation of people, merchandise, and provisions easy. Fleets of barges also carried away the waste of the city. Major roads also linked the city and beyond to many scenic spots, where rich men rode on horseback and ladies were carried in sedan chairs. 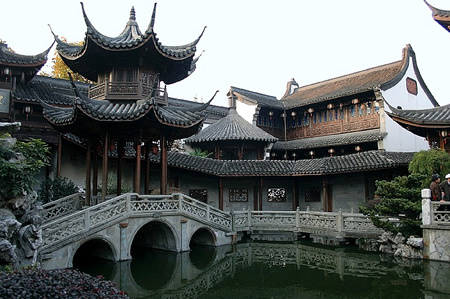 Hangzhou was also noted as a center of the silk industry, of fine ceramic kilns whose output supplied the court, and of the best teas grown and processed in its environs. The growing economy of the region also began to support the best academies. Many of the activities of this multiple-function city survived the demise of the Southern Song; however Hangzhou never became a national capital again.